With the holidays right around the corner, it's time to find something special for your dad. While most dads might want accessories for the grill or a new golf club, what if your dad would rather hit up a concert than the golf course? Look no further, because we have compiled some gifts for your music-loving dad. Maybe he wants more accessories for his vinyl collection, or some new speakers for the backyard patio. Either way, we've got you covered. Oh, and if you want to purchase anything from this list, click on the photo for a direct link where you can buy the item shown. If you're a cool, music-loving dad in 2018, then you've got to be aware that vinyl is back. Not that it ever went away, but vinyl record sales have increased year after year. That means that purchasing record players is also back, and this one has everything you could possibly need. Not only does it play your vinyl, but it can also play CDs, cassettes and has built-in Bluetooth. If you're going to be playing vinyl records from now on you'll need a place to store all of the records, right? This stylish cube comes in four different colors that will accent any room. The best part about these storage cubes is that they are stackable, so buy multiple ones to create an aesthetically pleasing space for your vinyl. Sometimes dad needs to listen to some old-school AC/DC and not hear his teenage daughter ask for another $20, and this is where these headphones come in. These headphones are especially great for the gym since they are wireless. If dad likes to be the DJ of every party, then this Bluetooth speaker will become his best friend. This one is great if you're having a pool day, too, since the speaker is waterproof. 5.) Bruce Springsteen's "Born to Run"
If your dad is a fan of Bruce Springsteen (let's be honest, all dads like Bruce Springsteen) then his memoir "Born to Run" is a must for this Father's Day. Springsteen's memoir goes all the way back to his youth in New Jersey, to the early days of the E Street Band. It's a page-turner for any fan of "The Boss." Make dad's shower time a little bit more entertaining with this showerhead that doubles as a speaker. Now he can enjoy his morning shower while hearing crystal clear tunes from the past. 7.) "Motown: The Sound of Young America"
Diana Ross, Smokey Robinson, Stevie Wonder — they were all there in Detroit, reinventing the sound of music and creating hits that would span generation after generation. This book, "Motown: The Sound of Young America" gives a fascinating backstory to how Motown Records came to be. Some album covers are iconic and maybe dad wants to show off one of his favorites. 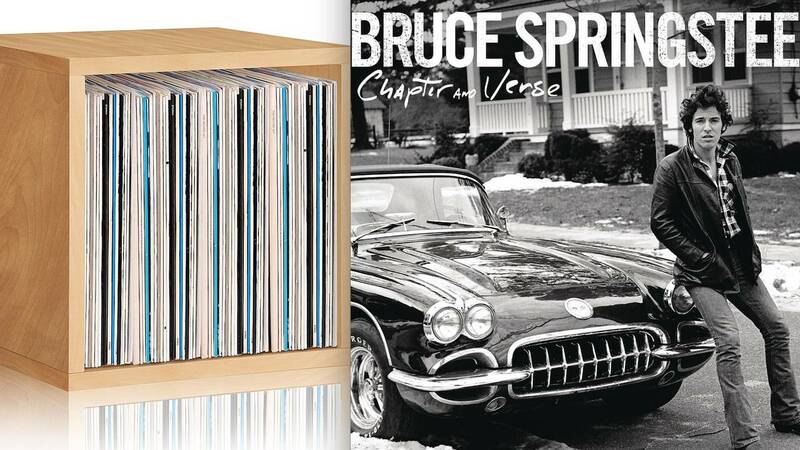 These frames fit a 12.5-inch by 12.5-inch album and are pretty inexpensive, so get a couple to make a wall in your house completely devoted to dad's favorite albums. Name a more iconic band than the Beatles and tell me your guitar-playing dad wouldn't want some guitar picks that are dedicated to the legendary band. Even if dad doesn't play guitar, these are still a pretty cool collector's item. Oh and if you want fast shipping every time on Amazon (so that, you know, this sort of last-minute scramble doesn't happen again), be sure to sign up for a Prime membership -- which includes a ton of benefits, including free music, movies and more.